Grad student Erez Lieberman-Aiden invents a method that will help scientists better understand diseases like cancer. Ask Erez Lieberman-Aiden what he is interested in, and he answers in less than a second. Lieberman-Aiden is now a winner of the $30,000 Lemelson-MIT Collegiate Student Prize for invention. Not surprising, he won the competition for innovations in several different fields. 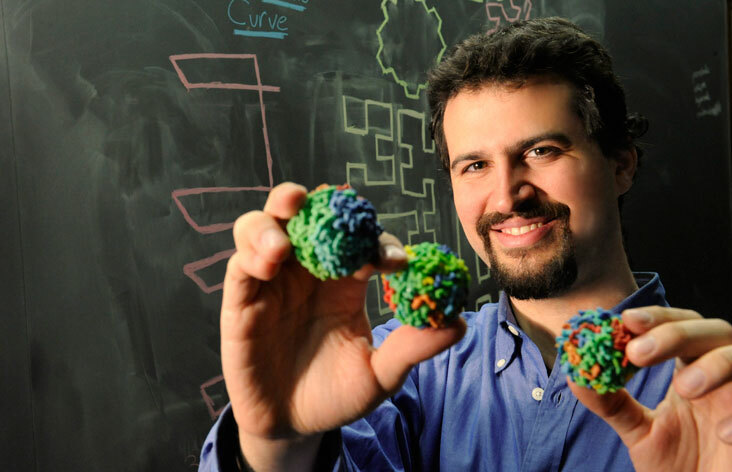 He and his collaborators developed a ground-breaking method for 3-D genome sequencing called Hi-C. It’s a major advance in solving the mystery of how the human genome — which is two meters and three billion chemical letters long — folds up to fit into the nucleus of a cell. The innovation will help scientists better understand diseases. “Cancer likely will be the area where it will be most fruitful,” he says. He also invented iShoe, an insole with sensors that can diagnose balance problems in the elderly, reducing the risk of their falling and breaking a hip. He got the idea as an intern at NASA, working on a project to help astronauts regain balance after returning from space. He and his team are now testing the technology in clinical trials. Also an expert on the evolution of language, Lieberman-Aiden — whose father is from Romania and mother from Hungary — spoke English, Hebrew, and Hungarian at home. In 2007, he co-authored a paper in Nature on the evolution of language over the centuries, demonstrating how language reflects the effects of natural selection. After it ran, a reader wrote the journal that the paper was terrific. “It was one of the coolest things that’s actually ever happened to me,” he says. “Some people think there’s a large probability that something I work on is going to become successful, but the majority of things I work on actually go nowhere,” he says, adding that it is from his biggest mistakes that have come his biggest successes. Lieberman-Aiden was raised in Brooklyn, the son of an entrepreneur. The third of four children, he began writing computer programs at age 7. His mother, new to the country, enrolled him in a computer class at Brooklyn College, unaware that the other students were in high school. He spent his childhood playing computer games. “I gave them up cold turkey sophomore year in high school, because I started to fail my classes,” he says, adding that he was lucky it didn’t permanently mar his record. In 2002, he earned a bachelor’s degree in mathematics from Princeton University. Now, he is earning a Ph.D. in applied math at Harvard and is a grad student in the Harvard-MIT Division of Health Sciences and Technology. He plans to become a professor at a large research university. When your mind is filled with ideas, he says, “one idea often collides with another, carrying you in a totally new direction. It is these collisions that are really useful moments,” he says. 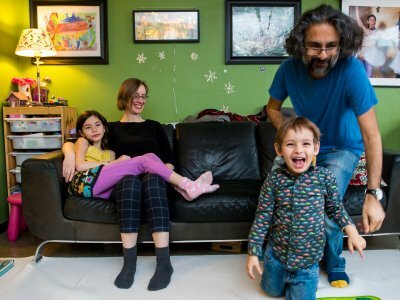 Lieberman-Aiden and his wife Aviva Presser-Aiden, an MIT alumna who recently led a team that developed a dirt-powered battery, launched together Bears Without Borders. The organization hires craftspeople in developing countries to create stuffed animals, then distributes the toys in 20 countries to chronically ill children and orphans. “We got the idea because we were happy about getting married, and wanted to make others happy, too,” he says.